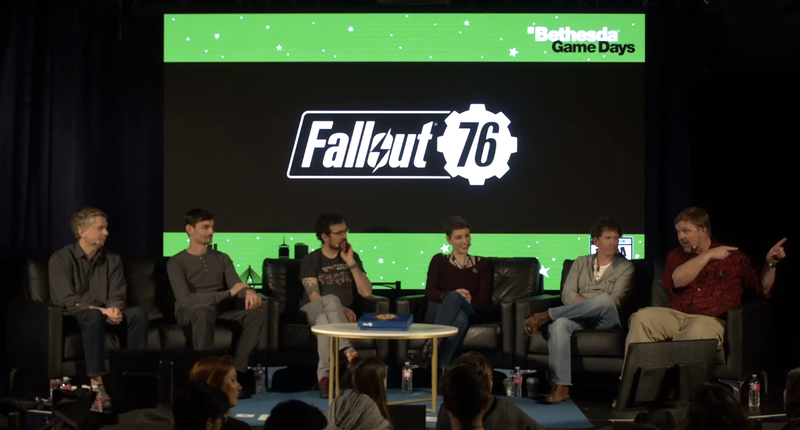 The line-waiter was talking about an upcoming panel discussion with some of Fallout 76’s developers, including director Todd Howard. But the live panel came and came and went without incident. No one asked awkward questions. No one heckled. No one threw a plastic Fallout 76 bag loaded with rotten tomatoes at the developers. 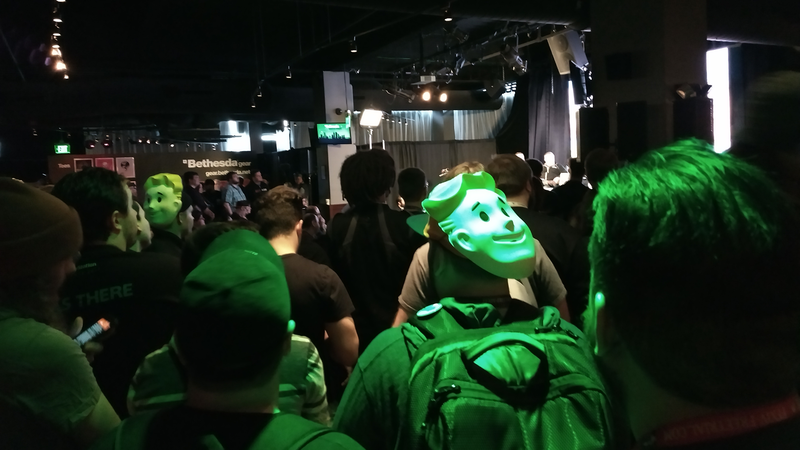 Whatever people on the internet might say about Fallout 76, or Bethesda in the wake of its terrible launch, the fans at Bethesda’s Game Days event haven’t lost faith. “People were crashing servers, and taking game-breaking items and bringing them into starter areas, and setting off nukes that blew up the whole map to crash servers,” he said. 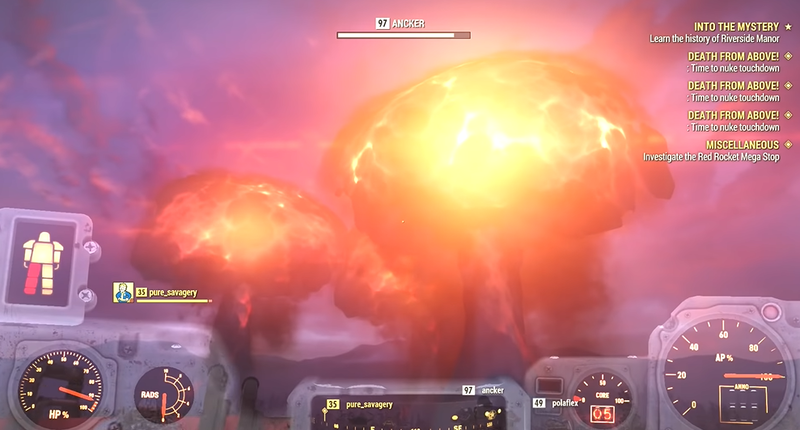 Kolodner was referencing an incident from the first weekend when a number of players who had reached the end-game from playing during the beta period crashed the server they were on by launching too many nukes at once. This is the second year that Bethesda has hosted a fan event adjacent to PAX East. 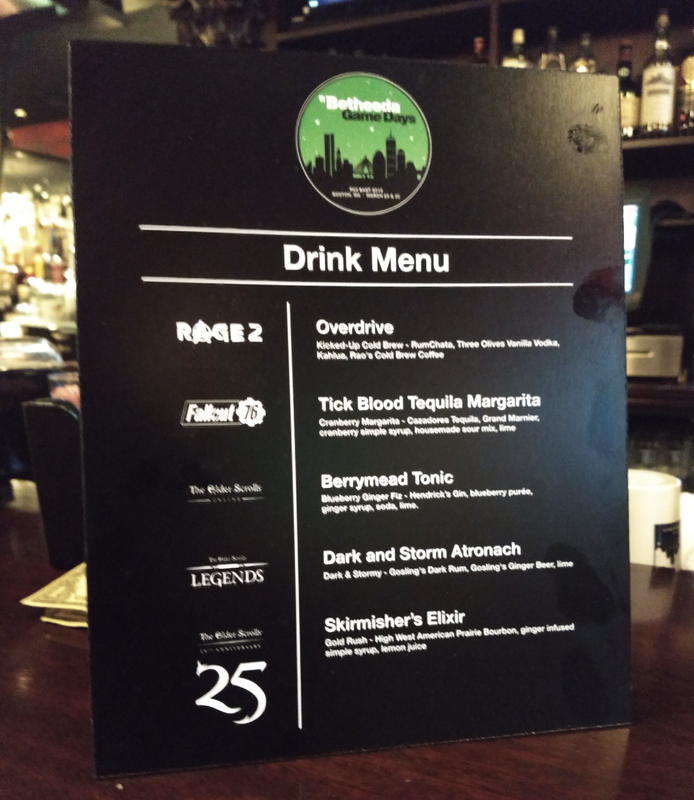 Across the street from the Boston Convention and Exhibition Center, a motley collection of gamers descends on an Irish pub and the comedy theatre above it to pay homage to the company responsible for some of the best open world role-playing games ever made. Or to play the hands-on demos for Rage 2. 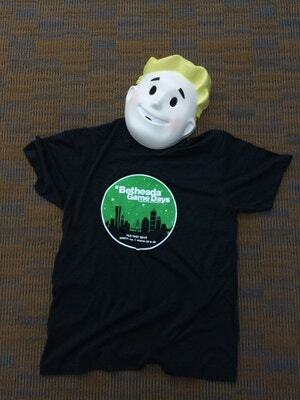 And in some cases, just to snag the free T-shirts Bethesda gives out. There’s also free booze and food for anyone who happens to show up, which is part of why the event attracts a line that snakes out into the lobby of the adjoining hotel. Whether it’s the Fallout and Elder Scrolls-themed cocktails or the piles of hamburger sliders and baked macaroni sun-bathing beneath pale heat lamps, the people I talked to inside were, for the most part, all on board with what Bethesda is doing with Fallout 76 going forward. Those plans, best summarised in a year-long roadmap that Bethesda released in February, revolve around rolling out timed seasonal events, slowly adding new gameplay features, and eventually introducing dungeons, four-player raids and more story content. In the over 100 days since it came out, Fallout 76 has received seven numbered patches and plenty of hotfixes. Some have improved stability and removed bugs, while others have done just the opposite. The latest updates have also been adding new content though, which has given players something more positive to focus on. In the update titled Wild Appalachia, the highlight so far has been the Fasnacht Parade, a time-limited event where players teamed up on the main street of Helvetia to take down a legendary sloth and earn rare masks. It’s brought people together in a way the game’s existing public events and end-game nukes hadn’t. It’s also shown that the Fallout 76 experience can meaningfully evolve from where it began. Galvin came to the event with his friend Derek Tee, who said he sees events such as Fasnacht as a way out of that. “If it’s meaningful in the world in some way and has other players coming together for a common goal, I see that as a good option,” he said. Southwell said he was talking specifically about a moment early in the panel discussion, when director Howard talked about the game’s “ups and downs”. For the Bethesda diehards, that’s apparently enough. Another fan, Jessica Kelley, said she is so happy with where Fallout 76 has gotten to after its rough start that she’s started spending more money on it. Her first big spend was upgrading her account to the $150 Tricentennial Edition, which netted her the celebratory Vault Boy saluting emote. While Kelley agrees that the beta could have gone on longer and things could have been handled better, she wouldn’t have wanted Bethesda to delay the game to fix its issues. It’s nice that both fans got to meet up. 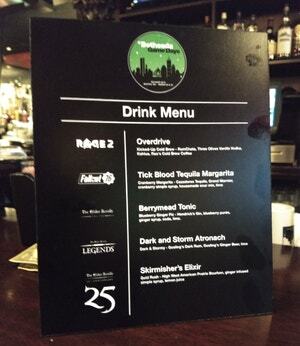 Thats nice... but you do have to wonder whats in the drinks since it didnt turn into a lynch mob. I was supposed to go but I stupidly took a couple of lock picks in my bag, couldn't afford the excess when my carry on weighed 15 tons. Wait, what? Someone actually upgraded their account to $150 version? From someone who was gifted an Xbox One code of this game. As in, please take this. Please take this, right now! Please! Even if they fix all the bugs (they wont), the game will still be an absolute snoozefest.